It has been a long, cold winter in Toronto and it seems like everyone is planning an “escape” either to somewhere warm for a week or two or further north for more fun in the snow. Whatever your plans, it is always a major consideration to decide if your pet can coming along or staying behind in someone else’s care. I am a veterinarian, an avid traveler and a pet owner so I hope I can offer a unique perspective and also some practical advice. If you have decided to bring your pet along very thoughtful consideration needs to be given to where you are going, the purpose of your trip (i.e. 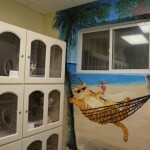 visiting friends as opposed to sightseeing), where your pet will be when you are not with him and your accommodations. Many times I hear from pet owners who have not thought this through thoroughly and the vacation ends up being very stressful for the pet and not very enjoyable for the owner. However, if proper consideration has been given, traveling with your pet can be an amazing experience. 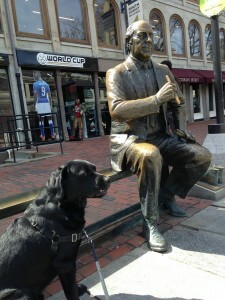 I have found that this website, www.bringfido.com , is a very good resource when planning a trip with my Labrador Retriever, Sam. 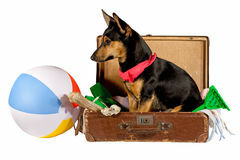 For many vacation destinations bringing your pet along is not an option. So what do you need to consider you are leaving your pet at home? It is important to make arrangements well in advance to make sure that your pet has a safe and comfortable place to stay. 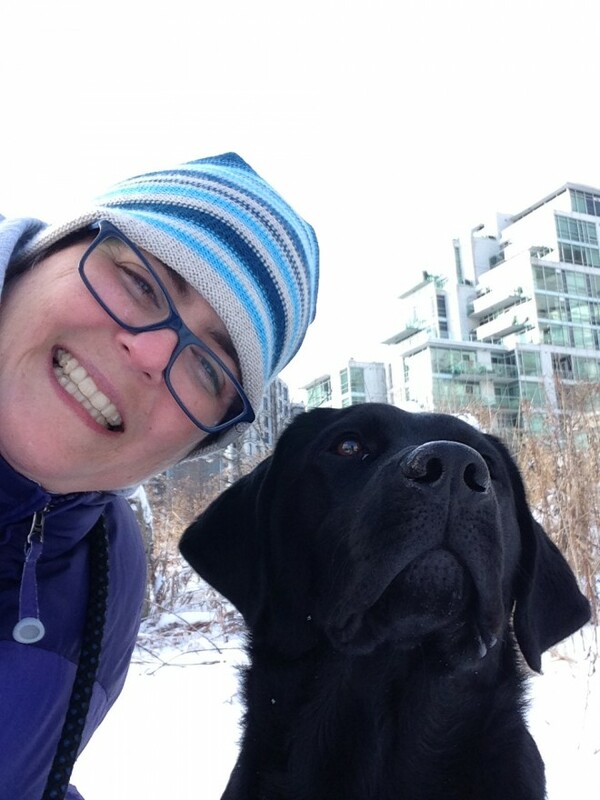 Should your pet stay with a friend or a family member, a pet sitter or a boarding facility in Etobicoke? It is important to ask other pet owners or your veterinary hospital for recommendations. I would recommend that you meet the pet sitter in advance and call several references. Make sure you leave your contact information, hotel phone number, veterinarian phone number and closest veterinary emergency number and specific instructions as to what you want the sitter to do in an emergency. Make sure your pet has enough of his own food and medication to last until you are back. When leaving your pet in a boarding facility Again, ask us for recommendations. Remember that different boarding facilities cater to different types of pets. 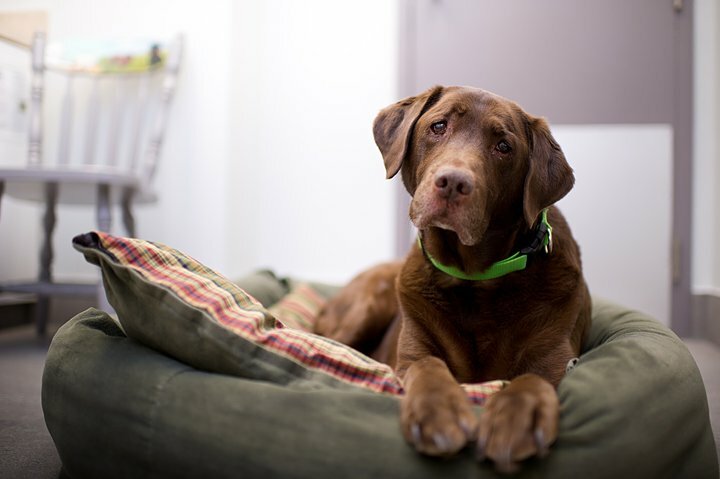 If you have a large, young dog that requires lots of exersize and socialization she has different requirements than a small (or large) elderly pet who has several medical conditions, requires daily medication and prefers lazy afternoons in his bed. Ask lots of questions. 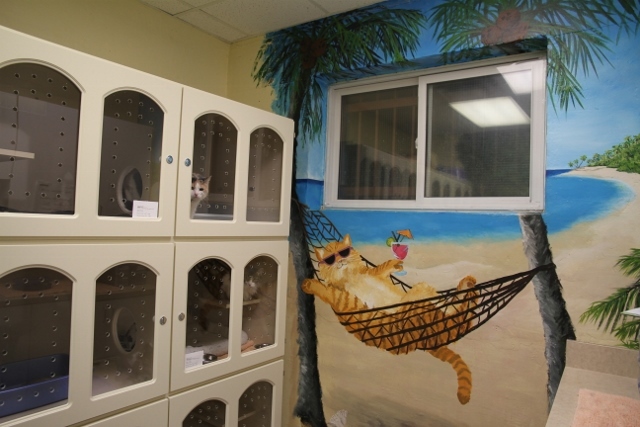 Royal York Animal Hospital has separate boarding facilities for both Dogs and Cats. 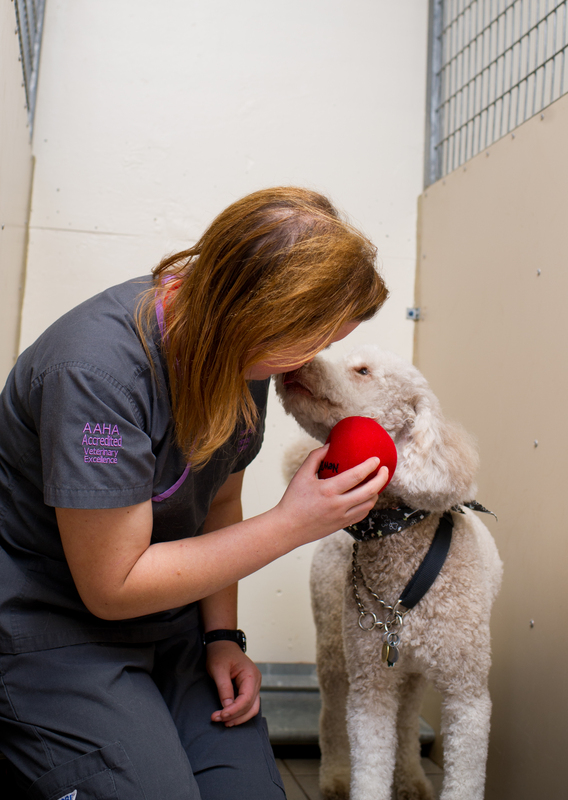 We are pleased to offer tours of our veterinary hospital facilities at any time. We also have three full time Animal Care Attendants who are dedicated to caring for our Boarding Pets only. RYAH has facilities and can accommodate all sizes of dogs. A discussion of your pet’s individual needs would help us determine if our facilities were a good fit for your pet. Size of cages and runs, is there enough space to move around? Is there a play time or one on one time? How will your pet be exercised? What will your pet eat, can you bring your own food? Pet owners like the idea of pets interacting and being social with each other (especially dogs). It sounds like fun and maybe makes you feel a little less guilty leaving him for fun in the sun. Many dogs do NOT like this environment and find it very stressful. We also have seen many injuries as the result of poor supervision and it can be risky psychologically and physically. If you choose this type of care you must ensure that the pets are always supervised when interacting. Make sure you clearly understand what happens if dog becomes sick or injured. The bottom line is that there are many type of boarding facilities and which one is best for your dog depends on YOUR dog. In my opinion, generally young, friendly, larger dogs do best in a kennel free facility where they can play and interact with other dogs. Older, sick, smaller, shy or nervous dogs do best at veterinary boarding facilities, so that proper attention can be given if necessary. 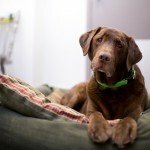 The # 1 question to ask (and to make sure you SEE) Are they separate from the dogs? Loud and insistent barking can be very stressful for our feline friends. Is there enough space in the kennel for food and water to be away from litter box? RYAH has wonderful cat condos that provide a separate area for sleeping, eating and the litter box. Do cats get a play time or socialization time? Once you have chosen the boarding facility make sure you make the reservation as well in advance as possible. If you wait too long, the facility may become fully booked and then you will have to start the process again which may result in more stress for you as your vacation has now been planned and possibly not the most ideal place for your pet. Make sure the boarding facility has contact numbers for you on your trip, plus local emergency contacts in case you cannot be reached. ASK QUESTIONS. Remind the staff about any medical or behavior problems your pet has, such as a history of epilepsy or fear of thunder. This is often the biggest mistake pet owner’s make. Many leave taking their pet to the boarding facility to the last possible minute which causes owners to be in a major hurry to catch a plane or get on their way. This results in miscommunications, forgotten items/instructions and incorrect contact information. 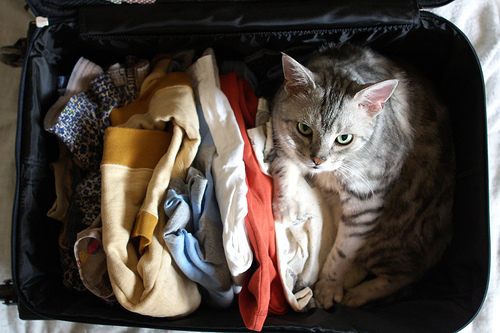 After the check-in process, say good-bye to your pet and leave. Avoid long, emotional partings, which may upset your pet! You should feel comfortable calling the facility at any time for an update on how your pet is doing while you are away. 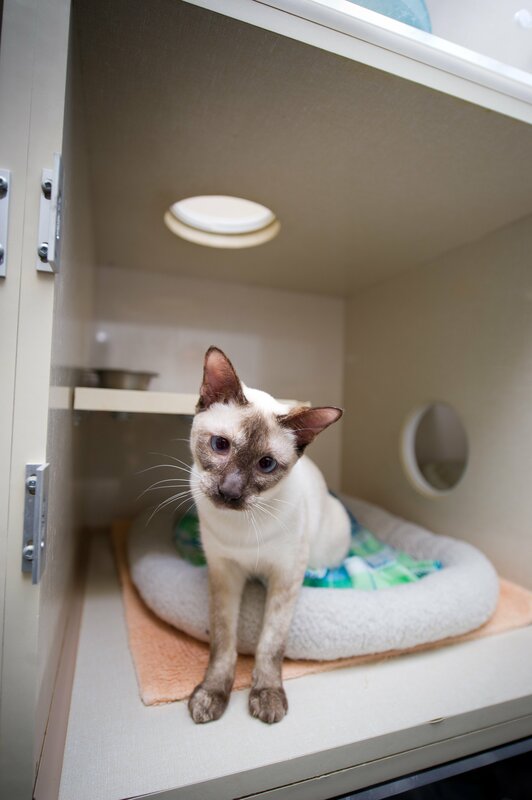 We are proud of our pet boarding facilities at Royal York Animal Hospital and are happy to accommodate a personal tour at any time for you to see our Dog boarding area and our Kitty condos!